The 323 TES (Test and Evaluation Squadron) “Diana” celebrates its 70th anniversary with F-35 F-002 in special tail markings at Edwards Air Force Base, California. 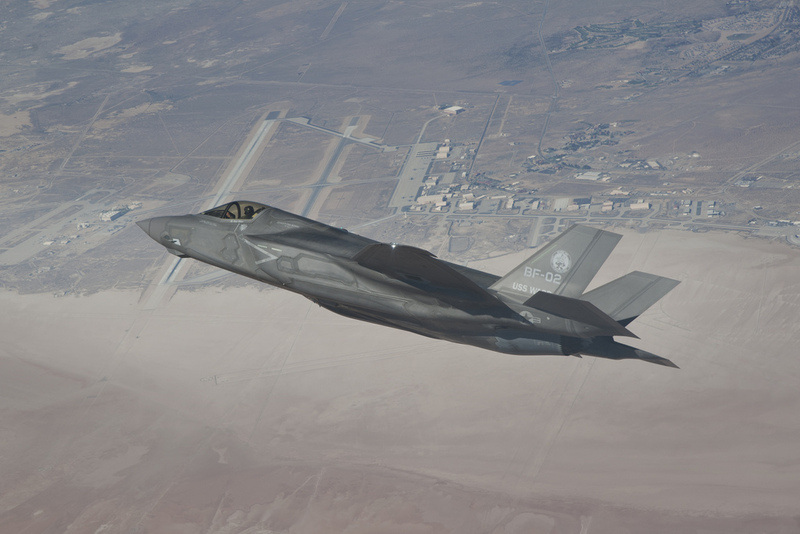 “Three two three”, Royal Netherlands Air Force’s first F-35 squadron, operates two Lightning II aircraft, examples AN-1 (F-001) and AN-2 (F-002), at Edwards AFB, California. The Squadron, is responsible for the Operational Test and Evaluation Phase (OT&E) as part of the Joint Operational Test Team, which lays the foundation for the RNLAF’s commissioning of the F-35. On Nov. 15, 2018, the squadron, that was established in 1948 and has changed designation (including Fighter Weapons School, Tactical Training, Evaluation and Standardization Squadron, etc.) several times through the years, celebrated its 70th anniversary, an achievement commemorated by applying special markings to the tail of one of the two Dutch F-35s: aircraft F-002 was given a Diana “Godness of the Hunt” (symbol of the squadron) artwork along with the silhouettes of all the aircraft that the unit has flown in the last seven decades and the text “70 years”. The artwork was created by artist Christy Tortland. It looks like the markings are applied on panels attached to the rudder and fin; however, according to the artist, this was just for the photo shoot as the aircraft should be painted later. The special tail on AN-2 (F-002) with the silhouettes of all the 323 TES (previously Sqn) aircraft in the making. It looks like the markings are applied on panels, making them removable. The first eight F-35A are being assembled at Lockheed Martin’s Fort Worth facility in the U.S. with the two F-35s already used for testing at Edwards AFB, California, and the rest heading to Luke Air Force Base for pilot training beginning in January 2019. AN-9, the ninth of the Netherlands’ 37 F-35A CTOL (Conventional Take Off and Landing) stealth jets on order, will be build at Cameri FACO, in Italy and will be the first F-35 to be delivered in the Netherlands: the aircraft is expected to roll off the production line in February 2019. It will undertake test and acceptance flights in Italy before moving to Leeuwarden in October 2019. It will be taken on charge by the first operational squadron based in the Netherlands, 322 (RF) Squadron. This is not the first time an F-35A is given a special tail: in June 2017, Italian Air Force F-35A belonging to the 13th Gruppo (Squadron) sported celebratory 100th anniversary markings on the left tail. Group shot at Edwards AFB.